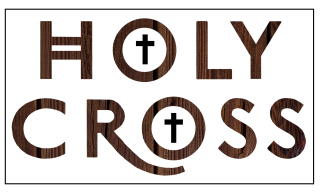 A new Ministry took place here at Holy Cross in March 2009. It is the “Prayers & Squares, The Prayer Quilt Ministry”. To date we have gifted 240 quilts to men, women and children – for many reasons, but each for someone in special need of the healing power of prayer. It combines a gift of a quilt with love and tied with prayers. Thirty-three threads for knotting are placed in each quilt, a symbol of the 33 years Christ walked the earth. A heavy thread is used to take stitches through the quilt layers, and the ends are left free to be tied with a square knot. As each knot is tied, a silent prayer is offered for the person for whom the quilt was requested. What makes each quilt so special is not the pattern, color or workmanship, but the fact that prayer is symbolically tied into each one. These comforters are a statement of faith, and a testimony to our belief in God and in the power of prayer. The quilt back has a cross sewn in, signifying our Christianity. 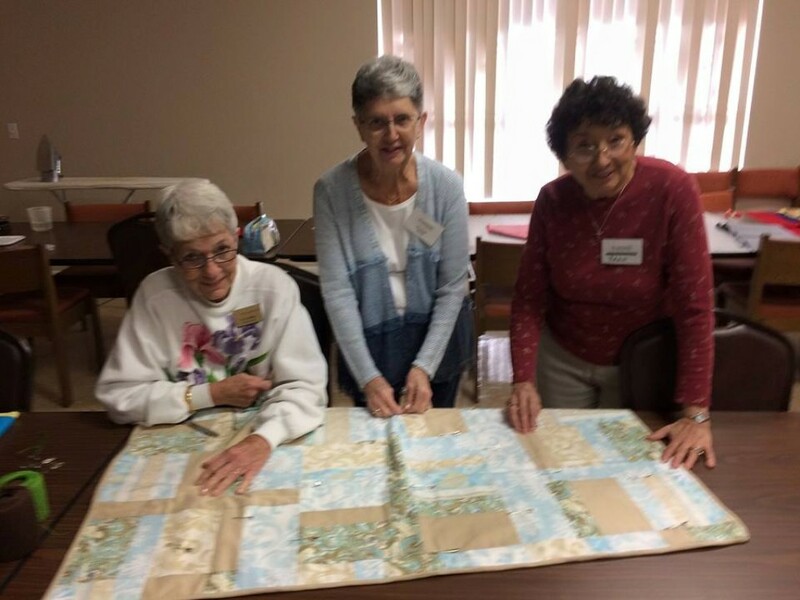 To request a quilt, please call Lois Mullins (Coordinator) at (941) 729-3891. Appearing in the photos are: Donna Hedrick and Eleanor Sekula, Instructors; Members: Janet Bills, Gladys Collins, Sue Gerardot, Nancy Gorman, Edna Huelsbeck, Mary Jakobovic, Mary Leonard, Irene May, Lois Mullins, Martha Parisian, Lucille Rebello, Marie Schneph, Mary Schunk, Jeanne Toth.